Hello, my name is George Mathai and I am a Black belt under GrandMaster Relson Gracie in San Antonio, TX. I had the utmost privilege to visit Arun and his awesome academy in January of 2016 and provide seminars to all the students in pure Helio Gracie Self-Defense and of course Sport Jiu Jitsu. The students were very receptive to instruction and we all had a great time. I appreciate Arun and Binish for being ambassadors in the global Jiu Jitsu network and keeping the Gentle Art alive in Delhi. 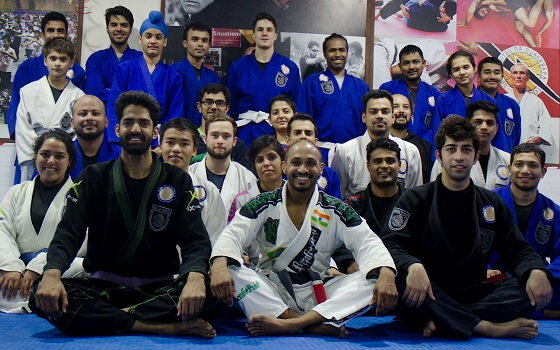 I look forward to my next visit and seeing everyone at BJJ India!! Mahalo! !